North American softwood lumber prices shot up spectacularly last week as lean inventories forced large-volume buys in advance of the construction season. 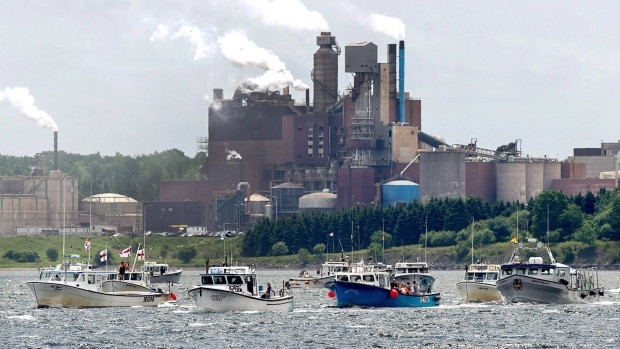 In other Business news: Northern Pulp tables its plan for effluent treatment; Catalyst shuts its Powell River mill due to boiler leak; Haddock Lumber will build a state-of-the-art lumberyard in Maine; and Interfor reports 2018 growth despite challenging fourth quarter. The BC professional foresters conference in Kamloops dominates today’s Forestry news as Minister Doug Donaldson announced: the completion of the forest inventory program review, funding for enhanced fibre utilization, and his phased approach to forest practices changes; while emphasizing the importance of building public trust via BC’s new Professional Governance Act. In other Forestry news: BC drops the Clayoquot Sound AAC and an update on NRCan’s Indigenous Forestry Initiative. Finally, a fatal wood dust explosion in Belgium and how the humble tree is making a tall-wood comeback in Toronto. Opening day two of the annual meeting of BC’s Forest Professionals, Doug Donaldson, Minister of Forests, Lands, Natural Resource Operations and Rural Development, provided an update on his government’s most recent forest policy initiatives. Prior to Mr. Donaldson taking the podium, Chief Dr. Ronald Ignace of the Skeetchestn Indian Band welcomed the delegates to his traditional territory, ardently challenging the attending foresters to combine western and traditional forest management knowledge for the betterment of the forest. Kamloops Mayor Ken Christian’s welcome included commentary on the importance of professional leadership in bringing science to the forefront when addressing the issue of import to his and other forest-based communities. Funding of $10 million from the Forest Enhancement Society of British Columbia will mean more wood waste will be redirected to mills instead of being burned on the ground, creating more jobs for British Columbians and reducing carbon emissions. “This is good for local jobs and for the health of the forests, and it is a positive step toward increased safety for forest-dependent communities,” said Doug Donaldson, Minister of Forests, Lands, Natural Resource Operations and Rural Development. “Companies and workers will be able to make better use of residual timber and, in addition to creating employment and reducing waste, this approach will also help to reduce fuel on the landscape to mitigate wildfire risk.” …The ministry’s Forest Carbon Initiative, along with partners such as the Forest Enhancement Society of B.C. and the Pacific Institute for Climate Solutions, focuses on how to make better use of wood fibre and reduce emissions from the burning of wood waste. A blue ribbon panel review of B.C.’s forest inventory program has made recommendations to improve the program. These recommendations come in the wake of the pine beetle epidemic and other pest infestations, as well as the effects of two intense wildfire seasons. …With its large and diverse forested areas, much of them remote, British Columbia faces one of the most daunting forest inventory challenges anywhere. “Our forests are one of our most precious resources,” said Doug Donaldson, Minister of Forests, Lands, Natural Resource Operations and Rural Development. “Now more than ever, we need to make the right decisions in all areas of forest management to ensure our forest industry is truly sustainable and our forests are managed for multiple values. This report on the forest inventory program will help us do that.” …In its report, the panel made 16 recommendations to strengthen and enhance the forest inventory program, including sustainable funding, better data collection, increased program linkages and improved communication. VANCOUVER – North American construction framing dimension softwood lumber prices shot up spectacularly last week as lean field inventories forced customers to come to the table for large-volume buys. Immediately at the beginning of January, wholesaler prices of benchmark lumber commodity Western Spruce-Pine-Fir KD 2×4 #2&Btr started rising off full-year 2018 lows, finishing last week at US$404 mfbm, a $58 or +14.4% increase from $346 the week before. At close Monday, lumber futures on the Chicago Mercantile Exchange were US$423, a historically-appropriate $25 premium to cash prices. Canadian and US softwood lumber prices strengthened considerably as end-users found themselves low on inventory for a wide range of products. Sawmills booked production out to four weeks or longer, while secondary suppliers worked to both replenish inventories from last week’s buys and book more sales going forward. WSPF prices jumped significantly while customers’ depleted inventories ensured their reluctant continued buying. Catalyst Paper Corporation’s Powell River mill has been shut down since Monday, January 25 due to a boiler leak. According to Catalyst vice-president, Graham Kissack, the leak in the number 19 power boiler forced the shutdown for repairs, which have been completed. The mill had steam as of Tuesday, February 5. While the boiler was being fixed, mill operations had to be fully curtailed. Kissack said the shutdown coincided with the recent cold snap, which meant the mill was that much colder and took longer to warm up the machines. According to Kissack, the boiler started heating up on Wednesday, February 6, and currently the plan is to have paper on the machines by Friday. VANCOUVER, British Columbia — INTERFOR CORPORATION recorded net earnings of $111.7 million, or $1.60 per share, in 2018, compared to $97.2 million, or $1.39 per share in 2017. Adjusted EBITDA was $280.4 million on record annual sales of $2.2 billion. Interfor recorded a net loss in Q4’18 of $13.2 million, or $0.19 per share, compared to net earnings of $28.1 million, or $0.40 per share in Q3’18 and $36.2 million, or $0.52 per share in Q4’17. Adjusted net loss in Q4’18 was $19.8 million compared to Adjusted net earnings of $28.2 million in Q3’18 and $45.1 million in Q4’17. Adjusted EBITDA was $6.2 million on sales of $468.5 million in Q4’18 versus $69.4 million on sales of $570.5 million in Q3’18. A saw mill crisis in N.S? Once again we are hearing from a few of the owners/managers of old conifer sawmills that if Northern Pulp were to cease production that softwood saw log delivery to those sawmills would also cease. That is simply an inaccurate statement. There would be nothing to cause a stoppage of harvesting and delivery of sawlogs. What would be forced to stop is the cutting of small trees that are not sawlogs. Many of these should be left to grow and absorb carbon and other air emissions. They are the future forests. Some of these old sawmills have outdated technology that apparently gets only 45 per cent of each log as dimensional lumber. Newer and current saw designs (bandsaw primary mills) get as much as 80 per cent lumber from each log. Thus less of the log is sent to the chipper and sawdust is reduced. Selling lumber is more profitable than selling chips and sawdust. 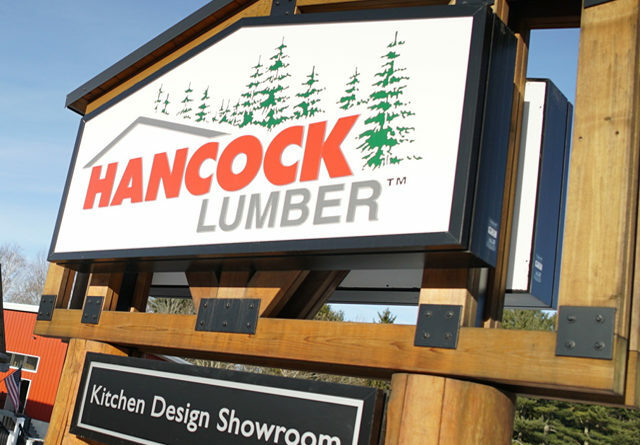 Hancock Lumber is pleased to announce its acquisition of 11 acres in Saco, and future plans to build a state-of-the-art lumberyard and kitchen design showroom. Located near the corner of Route 1 and Cascade Road, this site is the hub of continued economic development, is highly visible, and offers exceptional access to Scarborough, OOB, Biddeford and I-95. The newest location will be Hancock’s fifteenth, adding to its existing network of lumberyards + kitchen design showrooms, eastern white pine sawmills, truss manufacturing facility and home office. Hancock Lumber Saco will position the company to better serve its current and prospective customers in southern Cumberland County and northern York County. For decades Hancock Lumber has covered the market from Scarborough to Biddeford; however, a permanent presence with a dedicated store and sales team will improve service and provide even greater access and faster deliveries into these markets. More than a century after steel and concrete became the standard for building high-rise buildings, the humble tree is making a comeback. 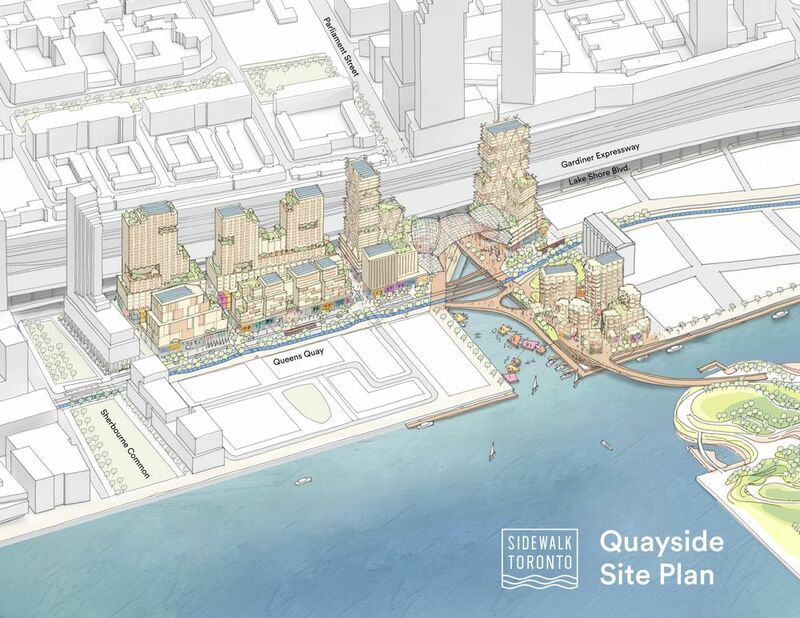 Sidewalk Labs LLC, a unit of Google parent Alphabet Inc., is planning to use timber to construct all of its buildings for a mixed-use community along Toronto’s eastern waterfront. Meanwhile, Oregon became the first U.S. state to amended its building code to permit taller buildings made from timber. The material can “contribute to people’s wellness, are beautiful, easy to assemble, and strong enough support to build dozens of stories,” said Karim Khalifa, director of buildings innovation at Sidewalk Labs. “And unlike concrete and steel, which are very carbon intensive to produce, using timber in buildings takes carbon out of the atmosphere.” The push comes as timber becomes more cost competitive as steel prices rise, and the use of pre-fabricated wood panels allows for quicker construction with less labor. If there’s one thing Prince George does well, it’s wood. Two structures in Prince George, the Lheidli T’enneh Memorial Park Pavilion and UNBC’s Wood Innovation Research Laboratory, are among this year’s nominees for BC WoodWorks wood design award. The park pavilion, which opened in June 2018 on National Indigenous Peoples Day, replaced an older picnic shelter at the site; it was hosted four days of cultural events and performances. It was developed as a partnership between the City and Lheidli T’enneh. The design reflects a shared vision for a space in the park that is accessible for gatherings, performances, picnics, and other events. It also highlights and celebrates the cultural significance of the landscape, including the confluence of the Fraser and Nechako Rivers, which is depicted in the concrete pad next to the pavilion. Members of the public, communities, governments, industry and stakeholders are invited to provide their input on the process to amend the Fort St. John Land and Resource Management Plan. As part of its ongoing commitment to reconciliation, the B.C. government is working in collaboration with Blueberry River First Nations and other interested Treaty 8 First Nations to update and amend the plan. Comments on the process and the potential scope and nature of amendments are being accepted until March 6, 2019… Since the completion of the Fort St. John Land and Resource Management Plan in 1997, northeast B.C. has experienced significant growth. The original plan identifies resource management zones and protected areas on provincial public land, setting out objectives and strategies for how the land and resources are managed. Effective Feb. 7, 2019, Tree Farm Licence (TFL) 54 on the west coast of Vancouver Island will have an area-based allowable annual cut level of 170 hectares. The previous allowable annual cut for TFL 54 was set in 2011 at 315.8 hectares. The new lower cut level is due mainly to land base exclusions for Maa nulth Treaty settlement lands, inoperable areas and the use of a more conservative modelling approach in the Clayoquot Sound area. “After reviewing all of the facts and information presented, taking into consideration recommendations from the Clayoquot Sound Scientific Panel and consulting with First Nations regarding cultural heritage resources, I am satisfied that my decision reflects sustainable forest management practices for Tree Farm Licence 54 over the next 10 years,” said Diane Nicholls, chief forester. While forestry corporations are exporting raw logs, shutting mills and laying off workers, our MP Richard Cannings’s question in his regular ‘From the Hill’ spot (Gazette, January 16th) “How can the federal government help forestry?” opens a can of worms. In the four years to 2016, 26 million cubic meters of raw logs – with a value of about $3 billion(!) – were exported, mainly to China. In 2016 alone 6.3 million cubic meters of logs went overseas. That amount represents some 3,600 on-shore value-added jobs… According to the BCGEU, 70 mills closed between 2001 and 2011, taking 36,000 jobs with them. …Our MP’s question smacks of social democracy kow-towing to big business. His question should be, ‘How better must we manage the resources entrusted to our stewardship, in our time?’ In your deliberations of this bear in mind that we live on a stolen continent (that’s where the ‘Crown’ came in) and that sooner than later it will revert to rightful ownership. …Now, I love trees, and for part of my life, worked to ensure they were cut down and delivered to sawmills (and re-planted), or by fighting fire to ensure trees grew up to be adults and useful to our economy, or hunting animals who hid in our many forests. …Our love affair with trees is nothing new, but it seems to have reached an epidemic of silliness when it comes to how we don’t manage them. …We can start by being real and staying simple. Why not go back to doing some of the things we used to do, like cutting down problem trees and forests? And, we need to stop blaming everything on climate change… In short, make decisions that reflect reality. Removing more of our “big” trees and replacing them with “little” ones will make our communities safer. Natural Resources Canada’s Indigenous Forestry Initiative (IFI) provides funding to support Indigenous-led economic development in Canada’s forest sector. The funding aims to increase Indigenous participation in forestry-related opportunities, businesses, careers and governance. A recent IFI funding agreement with the Yunesit’in government resulted in management and skills training to further Yunesit’in’s vision to build community pride and create community-based opportunities in forestry. Located close to Williams Lake, Yunesit’in is one of the six Indigenous communities of the Tsilhqot’in Nation. The Yunesit’in Forest to Frame project began in 2016 as a collaborative project. The intent is to use oversize Douglas-fir and develop marketable products, primarily for use in homes and other construction projects within Yunesit’in. A woodmizer (portable mill) was purchased and trainees honed their skills as sawyers, creating wood products that come from the community’s own business, local forest resources and labour. On January 25, NWS reported that a dust explosion at the Pouleyn door and window manufacturing company in Anzegem, Belgium, had killed one person and seriously injured a further three. The victims were employees of a company contracted to clean out a silo containing wood shavings. Two of the injured have critical burn injuries. According to NWS, after a small fire in the silo the previous day, a local cleaning company was tasked with clearing out the silo and the team reported the shavings inside were still warm. When a hatch was opened at a height of about four metres, oxygen came into contact with the still warm wood shavings which caused an explosion and metre-high flash flame.